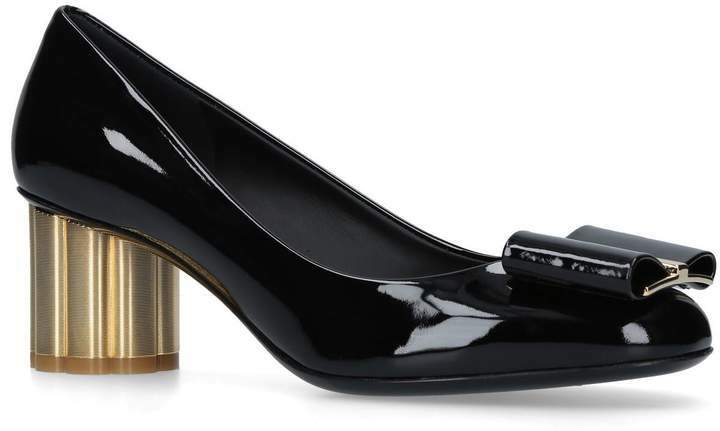 Salvatore Ferragamo - Salvatore Ferragamos latest take on its highly followed style sees the Capua reworked in aslick patent finish. 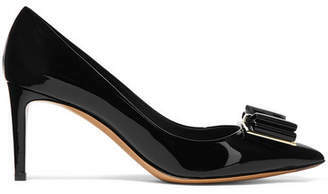 The timeless pumps are an office-to-evening classic, with understated elegance spearheading the aesthetic. 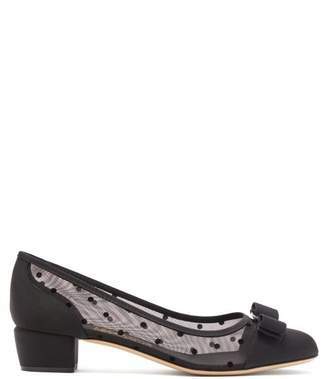 Set on a low heel boasting a flower-shaped curve, the pair are finished with signature bow accented by gold-tone hardware.